Support for multiple-use forestry projects may lead to an increase in the value of Brazil nut forests. RIO DE JANEIRO, Brazil (14 August, 2012)_The emergence of subnational REDD+ projects in southwestern Amazonia is showing potential for multiple-use management of non-timber forest products, particularly Brazil nuts, and forest carbon. Multiple-use forestry, which includes NTFPs, timber and environmental services, has gained momentum among researchers, practitioners and policy-makers as a way to promote forest conservation and livelihood development in the tropics. While there have been a multitude of initiatives towards integrated management of NTFPs and timber, there has been less of a focus on environmental services in these multiple use systems. Recent strategies (REDD+) to reduce carbon emissions through avoided deforestation and forest degradation and enhancement of carbon stocks have opened up new opportunities for integrated management of NTFPs and environmental services. As a Kleinhans Fellow from 2005 to 2007, I conducted research on the conservation and livelihood outcomes of Brazil nut management by rural communities in the MAP trinational frontier region of southwestern Amazonia. The approximately 300 000 km2 MAP region is comprised of the states of Madre de Dios, Peru; Acre, Brazil; and Pando, Bolivia. I focused my comparison on Brazil nut production in these three adjacent areas, because while resident communities have a similar natural resource base, the forest management regimes, property rights systems and specific livelihood strategies in the three countries are different. Many communities in the MAP region collect Brazil nuts, and the combined ecological and economic characteristics of this species give it the potential to promote forest conservation while contributing to rural livelihoods. My research results highlighted minimal deforestation and high forest income dependence in regional Brazil nut producing communities. Also, I observed a much greater incidence of reported nut thefts in Pando, which likely resulted from the Bolivian producers’ insecure property rights and extremely high income dependence on Brazil nuts. 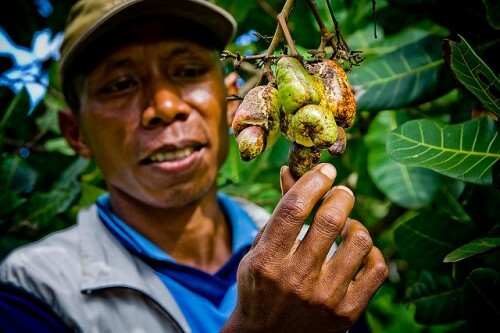 Finally, organic and Fair Trade nut certification schemes were associated with post-harvest management and financial benefits, while Forest Stewardship Council certification promoted pre-harvest and tree health practices, despite its lack of market benefits. Since my Kleinhans research, the increase in community timber management initiatives throughout the MAP region has highlighted opportunities and limitations associated with multiple use forestry systems that are focused on Brazil nuts and timber. For instance, while Brazil nut regeneration may be unaffected by low logging intensities, complicated legal requirements and high operational costs may prevent communities from assuming authority over formal timber operations. Additionally, despite the positive perceptions of a diversity of regional stakeholders about integrated timber and Brazil nut management, policy and economic constraints, along with threats of logging damage to Brazil nut stands in Pando and Madre de Dios and reinvestment of forestry income into cattle in Acre, are notable barriers to adoption of this multiple-use forestry model. More recently, the emergence of subnational REDD+ projects in the MAP region shows potential for multiple-use management of Brazil nuts (and other NTFPs) and forest carbon. There are two interesting examples of REDD+ projects that have incorporated NTFP management in their plans to reduce deforestation and forest degradation. The first is Acre’s state System of Incentives for Environmental Services (locally known as SISA), which was passed into law in 2010, and the second is a private-sector REDD+ project in Madre de Dios led by BAM (Bosques Amazónicos S.A.C. ), which focuses on the conservation of Brazil nut concessions. In Acre’s SISA, support for multiple-use forestry projects is explicitly included as a way to increase the value of standing forests. In one area with high potential for SISA activities, Acre’s government has already invested in the cultivation of açaí (Euterpe precatoria) seedlings in local communities to simultaneously enrich degraded forests and promote livelihood development through the sale of this other regionally important NTFP. In the Chico Mendes Extractive Reserve, another important focal area for SISA, enhanced opportunities for commercialization of a diversity of NTFPs – including Brazil nuts – by local extractivists will likely be supported through SISA. In Madre de Dios, BAM is working with the local Brazil nut producers’ federation to promote sustainable management of Brazil nut concessions, which face threats of illegal logging and forest fires, largely because of the development of the Interoceanic Highway through this Brazil nut-producing area. The BAM REDD+ project intends to increase the economic value of these Brazil nut-rich forests by installing a local nut processing plant and helping harvesters develop secondary products, such as Brazil nut oil and soap. Additionally, BAM intends to enhance local governance through participatory forest monitoring and building the capacity of the local Brazil nut producers’ federation to promote forest conservation. These experiences from the MAP region are clear examples of potential ways to bolster the promised conservation and livelihood benefits of NTFPs through linking their management to emerging markets for environmental services on a broader scale. It is yet to be seen whether such synergies can actually be achieved.